This page describes the terms that govern your use of theasc.com and ascmag.com, a division of the American Society of Cinematographers. Your use of this site constitutes your unconditional agreement to be bound by these terms. The content on this site is for informational purposes only and is intended for an audience familiar with cinematography. Your reliance on any information provided herein is at your own risk, and the ASC is not accountable for any actions you undertake as a result of visiting this site. 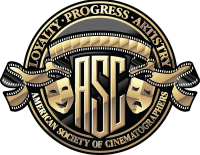 The ASC, American Cinematographer and Friends of the ASC are trademarks of the American Society of Cinematographers. (All rights reserved.) You may not use these trademarks or logos without the Publisher’s written permission. All other logos, images and marks on this site are the property of their respective owners. This site is provided by the ASC on an “as is” and “as available” basis. The ASC is not liable for any claims, damages or expenses, including attorneys’ fees, that arise from your use of this site. Under no circumstances will the ASC or any of its agents, vendors or suppliers be liable to you or any other person for indirect, special, incidental or consequential losses or damages that arise from your use of or inability to use this site. This site contains links to servers maintained by other businesses and organizations. The ASC cannot guarantee the accuracy of information contained on these servers, nor can the ASC verify the content of any file you might download from said servers.